Rabbi Binyomin Klein, 79, OBM Rabbi Yerachmiel Binyomin Halevi Klein, a member of the Rebbe's secretariat who has facilitated the interaction of hundreds of thousands of people with the Rebbe, passed away on Friday, 18 Sivan 5775. He was 79 and passed away in his sleep. He born on 6 Av 5695 (1935) in Jerusalem to his father R'Menachem Klein, head of the Jerusalem Chevra Kaddisha burial society and to his mother, Rochel, who passed away in his birth. He was therefore named Binyomin, as the son of the matriarch Rachel who passed away as well while in labor. In his youth, he learned in the veteran Chabad Yeshiva Toras Emes in Jerusalem and first came to the United States during the month of Av in 5716 to study at the Central Yeshiva Tomchei Tmimim Lubavitch at 770 Eastern Parkway in New York. There, near the Rebbe for the first time, he soon began taking part of the Mivtzoim outreach activities the Rebbe initiated. In specific, Rabbi Klein ran the Mesibos Shabbos enrichment program for children. In 5720 he got married to Laya Shusterman, daughter of RabbiMordechai Shusterman, who served as the Baal Koreh of the Rebbe in 770 Eastern Parkway. After their wedding, the young couple was sent by the Rebbe for a 2-year Shlichus in Melbourne, Australia, to establish Merkos L'Inyonei Chinuch there, overseeing the local Lubavitch community and institutions. 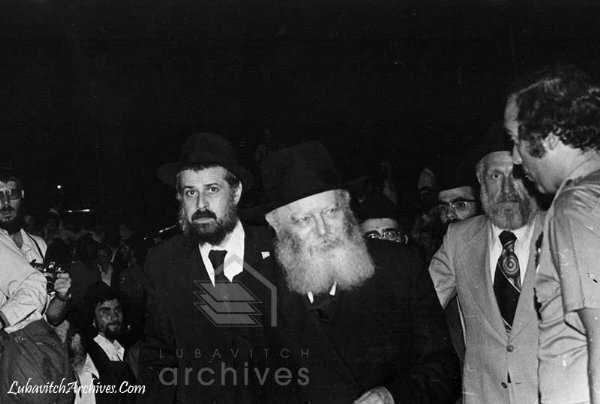 Upon their return to New York, Rabbi Klein was offered to work at the Rebbe's secretariat and assist the Chief of Staff RabbiMordechai Hodakov, in the daily work. Knowing how to keep a secret and fluent in Hebrew, he became the Rebbe's liaison to top diplomatic, security and political officials in Israel. Most of his interactions, some in person, with Mossad and Shabak (Israel's internal security service) remain a mystery. Over the years, much of the paper work of the Rebbe's letters and short replies on "tzetlach" notes were done through Rabbi Klein and his colleague Rabbi Leibel Groner. The Rebbe once commented about him, in front of Prime Minister Menachem Begin, that he is "my general." Rabbi Klein was a board member of Machne Israel Development Fund and has led Kollel Menachem, the institution for advanced Torah study for married men in Crown Heights. He was also on the board of Collel Chabad, Israel's longest running charity, and Ohel Chabad Lubavitch of the Rebbe's holy gravesite. In his quiet and unassuming manner, he helped people financially without them knowing, and gave wise counsel to many, Chabad.org reported. At 770, he was a friendly and approachable mentor to the yeshivah students who relished the opportunity to interact with an aide of the Rebbe. After Gimmel Tammuz 5754, Rabbi Klein implored fellow chassidim to keep the Lubavitch community united "and continue in all of the things of the Rebbe that you have done until now and even more so." 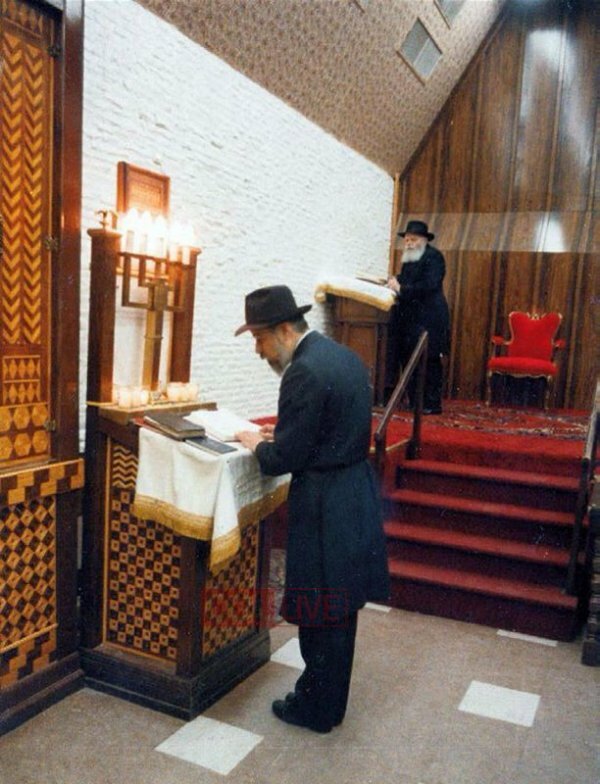 He would visit the Ohel on a daily basis since 1994. Just this week, he was seen there warmly greeting a Bar Mitzvah boy from Israel and on Thursday, 24 hours before his passing, he wrote his last 'pan' letter to the Rebbe. He is survived by his wife Mrs. Laya Klein, their children Mrs.Rochel Gordon - London, England; Mrs. Feyga Sudak - Edgware, England; Mrs. Chana Garelik - Crown Heights; Mrs. Shterna Sara Krinsky - Manchester, New Hampshire; Rabbi Levi Klein - Memphis, TN; Mrs. Esther Hadassah Ciment - Little Rock, AR; Mrs. Rivkie Grossbaum - Minneapolis, MN; Devora Schmerling - Far Rockaway, NY; Mrs. Miriam Moscowitz - Northbrook, IL; Rabbi Yaakov Klein - Moscow, Russia; grandchildren and great-grandchildren. He is also survived by his siblings-in-law: Rabbi Gershon andChana Rachel Schusterman - Los Angeles, CA; Mrs. Miriam Nemenov - Crown Heights; Rabbi Meni and Faige Wolf - Nachlas Har Chabad, Israel; Rabbi Shmuel Greisman - Kfar Chabad, Israel; Rabbi Elazar and Zisel Gurevitz - Crown Heights. The levaya will take place today, Friday, at 3:00pm at Shomrei Hadas Chapels - 3803 14th Avenue in Brooklyn and will pass 770 Eastern Parkway at 4:00pm for interment at Old Montefiore Cemetery in Queens. Times for the Shiva at the Klein family, 750 Eastern Parkway: Shacharis: Sunday morning 9:30am. Monday through Wednesday 8:00am and 9:30am. Mincha at 8:00pm, Maariv at 9:10pm. The family requests to refrain from visiting between 12noon to 2:30 pm; 5-6 pm; and not to come after 10:00pm. Stories, memories and condolences can be sent to klein750@gmail.com.